Nursing Education in Videos 2nd Edition continuously adds more than 245 update to date video titles through 2019 to refresh the content on educational and practical videos on nursing related topics. Asian Films Online I & II provide a comprehensive repository of documentaries, feature films and shorts that provide a firsthand perspectives into contemporary Asian issues through the voices of Asian filmmakers and content providers. These hard-to-find films are brought together for the first time in a streaming online platform, enabling scholars, researchers and teachers to discover, view, teach and study them at home, in the classroom, or on a mobile device, from anywhere in the world. Caribbean Studies in Video: The Banyan Archive features over 1,100 hours of programs that were previously inaccessible in streaming format, featuring interviews and programs with cultural personalities and indigenous Caribbean people and covering festivals and rituals, theatre, cultural practices, political events and dance performances, etc. UCF Libraries purchased over 15,000 videos across 14 subject collections in the last 4 years, including one purchase made on a Technology Fee in 2012. These streaming videos have contributed tremendously to the UCF curriculum. And studies have shown that streaming videos are increasingly favored by students as a learning tool. Alexander Street Press (ASP) is a respected academic publisher of award-winning, online collections and videos for scholarly research, teaching, and learning. The videos are notable for their excellent production, quality editorial standards, and commitment to comprehensive coverage of topics. 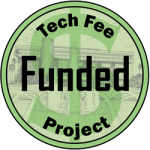 ASP is strongly committed to participate in the competitive UCF Technology Fee process, and has extended deep discounts on these collections. Streaming video contents are usually difficult to find and expensive to acquire. For UCF’s size and FTE, the original price for these four collections would have been $215,000. However, after careful negotiation based on UCF’s prior purchases and ASP’s desire to compete in the UCF Technology Fee process, ASP is offering these four collections for $95,000. This exceptional offer represents an astounding 66% discount for UCF users. The agreement between UCF and Alexander Street Press will allow fair use of the content for educational purposes, including embedding links into Canvas and hosting free on-campus student events. Access would be available to all UCF students and employees, with off campus access enabled by EZproxy. The streaming videos are all online and the content will be available to all UCF students, faculty and staff anywhere, anytime. The online videos will serve the UCF Regional Campuses, online courses, and distance education. Students and faculty will be able to discover Alexander Street Press Streaming Videos in the catalog and with the UCF Libraries’ OneSearch. Alexander Street Press Videos are viewable on the web using a browser and standard plug-ins, and can be streamed to mobile devices. The videos are easily discovered on the Alexander Street Press website, which provides deep-searching of the liner notes, transcripts, and descriptive terms, as well as many options to browse by topic, year, production staff, and other aspects of the collections. The transcripts can be displayed in-sync with the video, and support the UCF policy that course materials must be ADA compliant. While having the potential serving more students and student organizations, the four ASP streaming video collections may directly benefit UCF students at a combined enrollment of 23,375. Synchronized, searchable transcripts run alongside each video. Visual tables of contents let users quickly scan each video. Permanent URLs let users cite and share video. Embeddable video player lets libraries and instructors deliver video content to other users on secure Web site pages or via course management systems. Rich playlist functionality lets users create, annotate, and organize clips and include links to other content. Permissions for in-class, on-campus, and remote-access viewing are all included in the license terms. On-the-go access using most handheld mobile devices makes it easy for students to watch assigned footage. Unlimited simultaneous access so any number of people can view any of the videos at the same time. The selected video collections are relevant and appropriate to university student course work and faculty research. The content will directly support student learning by providing visual material for course, papers, projects, and study. Online streaming videos more readily support web-based instruction, and faculty often choose streaming video when the option is available. The specific collections selected for purchase closely align with academic programs in Nursing, humanities, social sciences and area studies, as well as non-academic divisions on campus such as the International Affairs and Global Strategies. They help raise awareness of diversity, global cultures and internationalization which relate to two of the five goals by the UCF President Dr. Hitt. Although potentially all students have interests for Asian Films and Caribbean Studies in video, a few specific academic and non-academic programs have been identified to receive direct benefits in all four collections. Alexander Street Press is a leading provider of educational media, streaming videos and music especially well-suited to university student course work. The content directly supports student learning by providing content for course papers, projects, and study. Press Nursing Education in Video” 2014-2019 Second Edition (Update) Collection. I have embedded videos from the current ASP Nursing Education in Video Collection in several of my online classes and find them to be a convenient way to provide credible, authoritative, and interactive information for distance learners. This proposal expands on the earlier Alexander Street Press Nursing Education in Video collection with the addition of over 245 updated videos. As many of the older videos become superseded, nursing students will need access to the newer versions of these videos. For instance, the updated version of the Arterial Blood Gas Sampling video would be valuable for my Fall 2017 Adult-Gerontology Acute Care Nurse Practitioner Program I course. The proposed technology fee will benefit UCF College of Nursing Students across all levels, especially visual learners. As a Nursing faculty member, I wholeheartedly recommend this prospective technology fee as an effective use of student’s money and our resources. Should you have questions about my endorsement, please do not hesitate to contact me. This Proposal expands on the earlier Alexander Street Press Nursing Education in Video collection with the addition of over 245 updated videos. I have been embedding anatomy and physiology related videos from this collection for my NUR3125 Pathophysiology course since 2013 and am well aware of the benefits that these videos afford my students. As many of the older videos become superseded, nursing students will need access to the newer versions of these videos in the aforementioned package. … The proposed technology fee will benefit UCF College of Nursing students across all levels and will ensure access to quality streaming videos related to virtually all aspects of nursing. As a professor in the College of Nursing, I enthusiastically endorse the UCF Libraries’ proposal to purchase the Alexander Street Press Nursing Education in Video 2014-2019 Second Edition (Update) Collection. This streaming video database allows convenient access to credible, authoritative, and interactive information, and the update will be incredibly useful to undergraduate nursing students, especially distance and visual learners. NUR 3065 Health Assessment and NUR 3028 Essentials of Nursing Practice are two examples of courses which would use and benefit from the updated edition of this media collection. This proposal will add over 245 updated videos to the current Alexander Street Press Nursing Education in Video collection. It is crucial that nursing students have access to the newer versions of these videos, as guidelines and literature are always changing, fueling the need to be up to date and have the latest evidence. I wholeheartedly recommend this prospective technology fee without reservation as an effective use of student’s money and our resources. Should you have questions about my recommendation, please do not hesitate to contact me. It is my great pleasure to endorse the UCF Libraries’ proposal for acquiring the “Alexander Street Press Asian Film Online Series” Volumes I & II. As a professor in the Department of Philosophy at the College of Arts and Humanities, I always utilize media sources that could enhance the learning experience of my students in various courses, such as HUM 3410 Asian Humanities, PHI 3800 Aesthetics, and the GEP humanities courses. Nevertheless, I have been searching for professionally produced, educationally friendly, on-line streaming videos in Asian Studies. The acquisition of the “Alexander Street Press Asian Film Online Series” would provide UCF faculty and student on- and off-campus, convenient access to on-line streaming videos produced by internationally acclaimed directors and films from the rarely seen region of Assam in Northeast India. In addition to enriching course like Asian Humanities, these videos could be integrated with UCF’s existing multidisciplinary sources with an Asian focus, including history, political science, cultural studies, film studies, anthropology, women’s studies, religion, language and environmental studies. I am writing to express my support for the UCF Libraries’ proposal for acquiring the “Alexander Street Press Caribbean Studies in Video: The Banyan Archives”. In my teaching, I am constantly trying to incorporate media sources that could enhance the learning experience of my students in various courses, including LIT3192 Caribbean Literature, AML3615 Harlem, Haiti, and Havana, and LIT2120 World Literature II, which is a GEP humanities. However, locating stable streaming videos that are professionally produced, educational in nature and classroom-friendly related to Caribbean Studies has not been easy. The acquisition of the “Alexander Street Press Caribbean Studies in Video: The Banyan Archives” will help my students learning. It adds interviews with cultural personalities and indigenous peoples and film footage featuring Caribbean literature, festivals rituals, theatre and cultural practices that are excellent supplements to my course contents. The film Sargasso, for instance, highlights a preface about Jean Rhys, the author of the classic novel Wide Sargasso Sea, and can connect students with the literature to the visual drama. Moreover, I am developing a teaching and production partnership collaboration in video documentation with the Film Programme of University of the West Indies (UWI) at St. Augustine in Trinidad. UWI works closely with Banyan Studios; and having access to the Banyan Archives will really expand the possibilities for mutual understanding and collaboration between my students and the faculty, students, and staff in Trinidad. The UCF Libraries has a fabulous Special Collection on the West Indies art and music. This additional purchase from Alexander Street Press will complement the Libraries’ collections with videos and enrich the resources for my students. I am excited at the prospect of purchasing this new video collection as part of the larger purchase proposal by the UCF Libraries on Technology Fees, and will look forward to using it in my classes if purchased. I am writing in support of the Tech Fee grant proposal to purchase “Caribbean Studies in Video: The Banyan Archive” documenting Caribbean history and culture. These videos compliment the UCF Libraries Special Collections & University Archives department’s Caribbean and West Indies holdings. Anchored by the William J. Bryant West Indies Collection, the department has over 1,800 books and periodical on the history, geography, economy, and social life of the Caribbean area as well as a significant number of paintings, sculpture, and works on paper by Caribbean artists. The Banyan archive includes videos of Caribbean artists working on and commenting about their own works. These recordings would provide much needed context for placing the department’s artwork within the broader world of Caribbean art and artists. The videos would help to fill gaps in the department’s holdings about Caribbean art. Additionally, because the Banyan Archive includes unedited footage, students would have access to a wealth of materials previously unavailable outside the Banyan Studios in Trinidad and Tobago. The Bryant West Indies Collection also includes over 140 recordings of various genres of music from the Caribbean Islands including indigenous folk, dance, and cult music. While providing an overview of the music of the region, this collection is by no means comprehensive. Video in the Banyan Archive of musical performances would greatly enhance the department’s holdings and, because they are video recordings, allow students to see the performances further adding to their learning experience. I am also excited about this proposal because the format, digitized video recordings, allows students enrolled in UCF online access to materials remotely and allows faculty to use this material in the classroom and embed the videos in online courses. Only a small portion of the Bryant West Indies Collection has been digitized and is available online. The Banyan Archive would go a long way filling in the gaps in Caribbean related materials available electronically. I whole heartedly recommend that the committee fund this project. The UCF Libraries is committed to work directly with faculty and the Faculty Center for Teaching and Learning to publicize this streaming video package. The streaming videos will help faculty offer additional learning modalities to both on and off campus students. The Libraries will offer informational materials to distribute during various events, such as the Faculty Development Conferences. In addition, librarians will instruct students about Alexander Street Press Streaming Videos during Information Literacy sessions. The Alexander Street Press Streaming Videos will benefit faculty by providing content for faculty research, especially primary materials, and content for course assignments. The Libraries will measure the success of the Alexander Street Press Streaming Videos through usage data and surveys. Alexander Street Press will provide both COUNTER and NON COUNTER reports to identify and track which videos in what collections were viewed and how any segments were watched. Selected faculty and students will be asked for comments these products. It is expected that students and faculty will increase their usage by 5-10% in the first three years due to the new videos. After turning on the accesses for these four ASP collections, the UCF Libraries will provide training on the use of the content through a host of outreach opportunities to both students and faculty. The subject librarians will collaborate with the academic and non-academic programs that are identified to have directly benefits to promote the collections purchased. Bibliographic instruction sessions, face-to-face reference sessions, and LibGuides will all be used to promote the collection and provide needed instruction. In addition, selected faculty and students may be asked for comments these videos for qualitative assessments. The Libraries will measure the success of the Alexander Street Press Streaming Videos through usage data annually. Alexander Street Press will provide both COUNTER and NON COUNTER reports to identify and track which videos were viewed and how many segments were watched. The annual usage reports are included in the Libraries’ Annual Report and will serve an important benchmark. In order for achieve meaningful quantitative assessment, a 3-year time series comparison will be conducted three years after the full implementation of these resources. The requested funds will cover the entire cost to purchase perpetual access to the selected Alexander Street Press Streaming Videos collections. Maintenance of this collection requires a small annual platform fee that is typical for digital collections of this quality. UCF Libraries will fund this annual fee from existing funds. The Libraries will catalog the content, maintain links, and support access. Any recurring costs for maintenance of the collection will be paid for using library funds. Videos are hosted by ASP, so there is no impact on staff resources. The requested $94,000 ($95,000 minus $1,000 Cost share) will be used to purchase the four streaming video collections from Alexander Street Press. ASP wishes to stay competitive in UCF Technology Fee process, and has extended deep discounts on these collections. Streaming video contents are usually difficult to find and expensive to acquire. For UCF’s size and FTE, the original price for these four collections would have been $215,000. However, after careful negotiation based on number of proposed collections and UCF’s prior purchases, ASP is offering these four collections for $95,000. This exceptional offer represents an astounding 66% discount for UCF users. As identified by the directly impacted users, the estimated cost per user will be $4 ($95,000/23275) or less. For streaming video content, the price and cost per user is extraordinarily low.